Home › Science Philosophy and History › Do the Teachings of Emanuel Swedenborg take Precedence over the Bible? Do the Teachings of Emanuel Swedenborg take Precedence over the Bible? I was wondering why so much of your site and the large majority of your beliefs about God, heaven and hell and Jesus are based on the teachings of Emanuel Swedenborg? Why do you think that he holds special precedence in knowing the mind of God? after all he was just one man who believed he had undergone a spiritual experience from God, which many many other people throughout history have also claimed. I was just wondering why your site and theology weigh so heavily on his thoughts, even almost more than what the Bible has to say? If you could give me some points on why you take his ideas and experiences as unquestionable truth that would be much appreciated! Thanks for the great question, Lara! 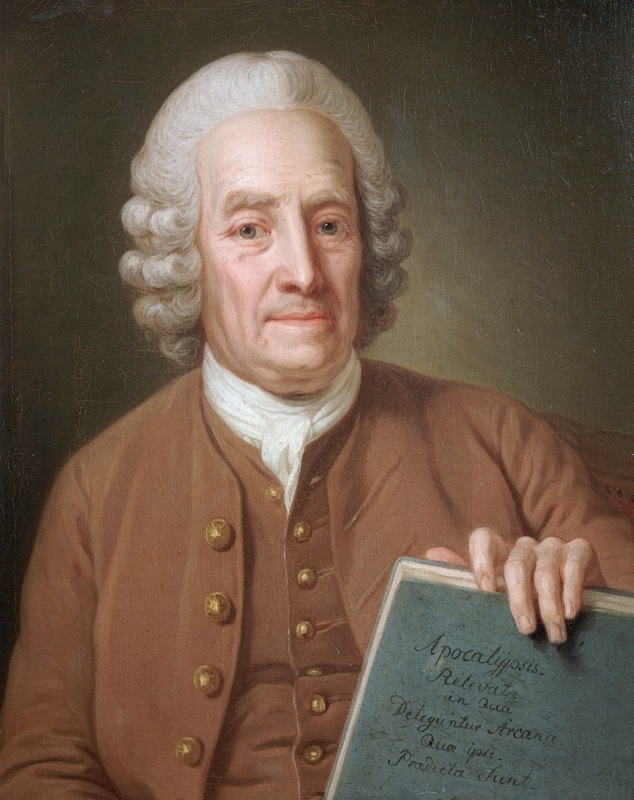 Between 1749 and 1771, Emanuel Swedenborg published twenty-five books written in Latin, which was the universal scholarly language of the day. He wrote but never published almost as many additional volumes, some of which were first drafts for books he later published. These books tell about the deeper meanings in the Bible, Swedenborg’s experiences in the spiritual world, and the true meaning of Christianity as he understood it. Ever since, readers and followers of Swedenborg’s teachings have debated exactly what to make of his writings, and how Swedenborg’s teachings relate to the Bible and to the mind of God. Having grown up steeped in the Bible and in Swedenborg’s teachings, I have spent many years pondering these very questions. It’s not enough to believe something just because that’s what you were taught. To make beliefs truly our own, and feel that we can trust them, we must weigh them against other possibilities, consider them from a rational perspective, and measure them against our own experience of life. Of course, Christians must also measure them against the Bible. As pointed out in the article, “Christian Beliefs that the Bible Does Teach,” Swedenborg’s basic teachings pass Biblical muster in a way that many traditional Christian teachings simply do not (see the article, “‘Christian Beliefs’ that the Bible Doesn’t Teach”). This article will focus more on Swedenborg’s writings themselves: what they are and what they are not, how they are different from the Bible, and why Swedenborg’s teachings are worth paying attention to. Swedenborg’s writings are not unquestionable, inerrant truth. Swedenborg’s experience in the spiritual world was unique in known history. Swedenborg’s inspiration from God was very different than that of the Bible writers. Even if we don’t realize it, our understanding of the Bible depends on human teachers. Swedenborg’s teachings are not an addition to the Bible; rather, they help us understand the Bible. Only you can decide whether Swedenborg’s teachings are worth paying attention to for you. Let’s take a closer look. It’s a lot of material to cover, and it’s going to take some time. However, it will answer the question of why this website draws so heavily on the teachings of Emanuel Swedenborg, and what particular perspective on his writings, and on the Bible, is behind the articles here. Let’s dispose of this one right away. The reality is that if any truth were to come to us direct from God, we wouldn’t be able to understand it. Pure truth as it exists in the mind of God is far beyond the capacity of our limited human minds to grasp. If we were to experience it even for a split second, it would be so powerful that it would vaporize us, body and soul. It would be like learning about the sun by flying into the middle of the sun. We wouldn’t survive the encounter. When spiritual sages and near-death experiencers say that they had a moment in which they saw and understood everything in the universe, I’m sure they believe it. What they experienced was far beyond our ordinary consciousness here on earth. But their experience was still only a pale shadow of the pure, universal truth that is in the mind of God. We humans simply don’t have the capacity to handle the infinity of God’s mind. The idea that any revelation or spiritual experience could be pure truth straight from God is an illusion. The reality is that all divine truth must be heavily filtered and dimmed to bring it down to a level of intensity that we humans are able to bear. This is true of the Bible. It is also true of Swedenborg’s writings. When the Bible says, “Truly, you are a God who hides himself” (Isaiah 45:15), the Hebrew could also be translated as, “You are a God who veils himself.” That veiling is to protect us from the full intensity of God’s love and wisdom, and dim it down to a level that we can handle. How God does this is a complex process, involving many nested layers of reality. But the simplest version is that in order for God to speak to us, God must speak through human minds, and use the contents of those minds to veil, clothe, and express the divine truth that God wants to communicate to us. This means that in all forms of revelation from God, there is both a divine element and a human element. In the case of Swedenborg, the human element comes from Swedenborg’s northern European culture, mind, and experience. Swedenborg was a brilliant man. His IQ is considered to be among the highest in human history. He studied all the science and philosophy known in his day. He also had a practical mind. He devoted much of his life to matters of industry, business, and government. Yet as brilliant and accomplished as he was, he was still just an extraordinary human being, with a limited human mind. In short, Swedenborg’s writings do not contain unquestionable, inerrant truth. They contain the best understanding of divine truth that one of the most brilliant minds of all time was able to grasp and express in human language, as guided by God. That’s the abstract, theoretical version. Let’s bring it down to practical examples. During his teenage and adult years up to his fifties, Swedenborg studied all the known sciences of his day, and wrote groundbreaking books on many of them. However, he lived two and a half centuries ago. Obviously, science hadn’t developed to the level that it has today. He did not have access to the advanced tools and techniques of science that we do now. Though some of his scientific ideas were ahead of his time, such as his theories about the formation of the solar system, the structure of crystals, and the function of the neurons in the brain, others have since turned out to be mistaken. There are human beings living on every planet in the universe, including Earth’s moon and all of the rest of the planets in our solar system. Insects, rodents, and even large mammals can be created instantly by spontaneous generation. The child of a black father and a white mother will be black; the child of a white father and a black mother will be white. All plants are male; the earth supplies the female element for the germination of new plants. Red and white can be combined in various ways to produce all other colors. When it comes to society and religion, Swedenborg was also far ahead of his time in many ways. Yet his writings are not free from some of the prejudices and mistaken ideas of his time. Today we are used to living in a worldwide society composed of many different religions. In Swedenborg’s day, that wasn’t the case. Almost everyone Swedenborg knew was Christian, along with a scattering of Jews—who were heavily discriminated against. He had very little knowledge of Islam or any of the Eastern religions. As a result, some of his statements about Jews, Muslims, and the religions on the main continents of Asia and Africa are either mistaken or sound prejudicial by today’s standards. To give just one example, Swedenborg thought that Muslims could accept Jesus as the Son of God while still holding to their religion. However, the Quran, which is the holy book of Islam, states that such a thing is not only impossible, but blasphemous. On the positive side, unlike almost all other Christians of his day, Swedenborg believed that non-Christians could go to heaven just as easily as Christians. It all depends on whether they live a good life according to the teachings of their own religion, he said. (See “If there’s One God, Why All the Different Religions?”) Swedenborg was far from a narrow-minded bigot. But he did pick up some of the errors and prejudices about other religions and cultures that were rampant in seventeenth and eighteenth century Europe. We could go on about other areas where Swedenborg’s writings contain social, scientific, and religious errors that were common in his day. But this should be enough to show that just as in reading any other author, we must read Swedenborg’s writings with our thinking mind switched on and in gear. Swedenborg himself never asks us to believe anything he says just because he says so. He appeals to the Bible, to rationality, and to experience. He asks us to think it out and consider whether this or that thing he says has the ring of truth about it. If it makes sense to us, then we can accept it as truth. But we should not accept anything Swedenborg says that doesn’t make sense to us, or that we know not to be true. It is true that many, many people throughout history have claimed to have had spiritual experiences. Far from being a problem for readers of Swedenborg, this is a comforting thought. And yet, if we read many of the accounts people have written about their experiences in the spiritual world, we will quickly discover that they do not all agree with one another. Some see Jesus. Others see angels or other spiritual beings according to their own beliefs. Some say reincarnation is real. Others say reincarnation is an illusion. Some say there is an eternal hell for evil people. Others say everyone eventually ends out in heaven. Some see thousands of people streaming through the pearly gates of heaven. Others see no such thing. With all these differing reports about the spiritual world, how can we believe any of them? And why should we pay any more attention to Swedenborg’s account of the spiritual world than to anyone else’s? First, we should expect that those who have brief glimpses of the spiritual world will come away with very different accounts. Australia is a bustling city with a unique and beautiful opera house situated on the water. Australia is a picturesque community where people speak English with an odd accent. 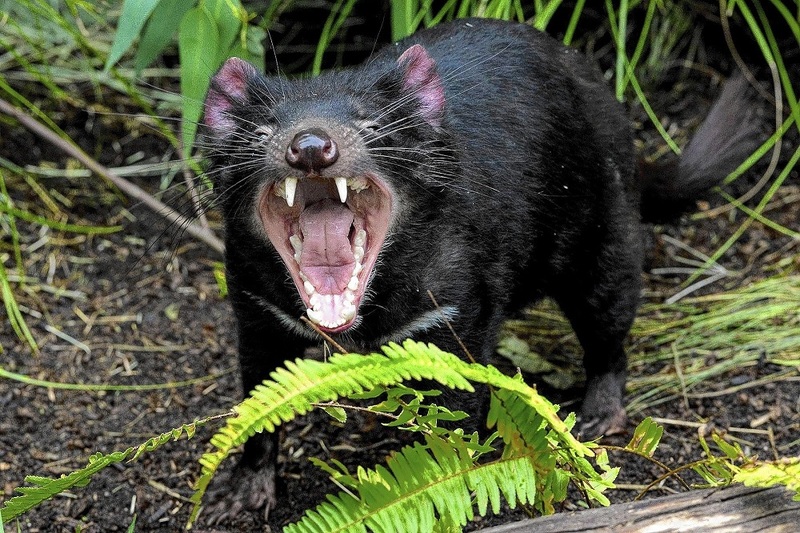 Australia is a lush semi-tropical environment teeming with strange animal species not seen anywhere else. 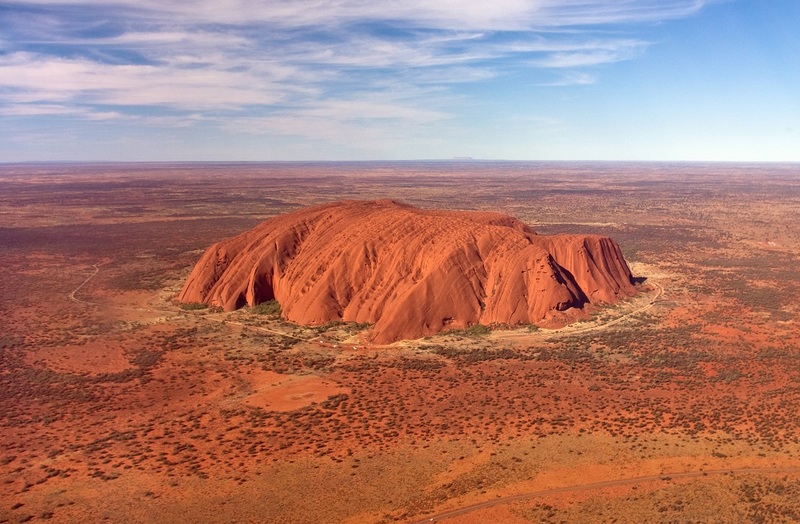 Australia is a massive rock formation surrounded by a vast, forbidding desert in which few people could survive for long. Now consider that the spiritual world is far vaster and more varied than Australia. In fact, it is more vast and varied than the entire physical universe. Is it really reasonable to expect that everyone who goes there will report the same thing about what it is like? Why is Swedenborg’s experience different? What is different about Swedenborg than any other person in history is the length and clarity of his experiences in the spiritual world. Thousands of people hear the voices and sense the presence of the spirits of people who have died and moved on to the spiritual world. Swedenborg visited their homes in the spiritual world, sat down to dinner with them, attended their community events, and talked face to face with thousands of angels, spirits, and demons for hours and even days at a time. Millions of people have had brief experiences in the spiritual world lasting a few minutes, hours, or days. Swedenborg spent the last third of his life—almost thirty years—able to be fully conscious in the spiritual world at will. During that time he traveled extensively, and visited many different regions of the other world. Yes, of course, this is what Swedenborg claims. However, I am not aware of anyone else in history who has even claimed to be fully conscious in the spiritual world day in and day out for nearly thirty years. Consider the example of visiting Australia. Someone who has had long-distance phone calls with many Australians? Someone who has actually visited many Australians in their homes and communities? Someone who took a one week guided tour of Australia? Someone who lived and traveled extensively in Australia for several decades? Swedenborg can offer unique insight and experience about the spiritual world because he actually lived and traveled there for nearly thirty years. This gave him enough time to get himself acclimated to that world, explore some of its many and varied regions and environments, and put together a fuller and more coherent picture of it than anyone else in history has been able to do. Yes, Swedenborg had a brilliant and gifted mind. And he was a seasoned explorer, having traveled widely in Europe during his lifetime. These things helped to make him a sharp-eyed observer of the spiritual world. But beyond that, the sheer length and depth of his first-hand experience in the spiritual world sets him apart from anyone else in history who has ever glimpsed the spiritual world, or heard voices from it. Now let’s turn to the questions about Swedenborg and the Bible. It’s true that some followers of Swedenborg’s teachings consider his writings to be an extension of the Bible, and even give his writings more authority than they give the Bible. Swedenborg himself never said any such thing about his books. He was very clear about what the Word of God was—and it did not include his own writings. Beyond that, the idea that Swedenborg’s writings are an extension of the Bible, and are themselves the Word of God, completely misses the point and the purpose of both the Bible and Swedenborg’s writings. What Swedenborg did say was that he was called by the Lord God Jesus Christ to receive and publish teachings that would play a key role in the promised Second Coming of the Lord. This Second Coming would not take place in person. God had already done that in the life of Jesus Christ as recorded in the Gospels. There was no need to do it again. Instead, it would be “in spirit and truth” (John 4:23–24). In other words, Jesus Christ would come spiritually into people’s hearts, minds, and lives in a new way. The Lord cannot manifest himself to everyone in person, as has been shown just above, and yet he foretold that he would come and build a new church, which is the New Jerusalem. Therefore it follows that he is going to accomplish this through the agency of a human being who can not only accept these teachings intellectually but also publish them in printed form. By “the Lord” Swedenborg means the Lord God Jesus Christ. By “the Word” he means the Bible. What is the difference between Swedenborg’s writings and the Bible? This quote from Swedenborg may raise more questions than answers. For now, let’s focus on what it says about Swedenborg and his writings as compared to the Bible. In particular, Swedenborg says that God chose him for this task because he could accept these teachings intellectually and publish them in print. The Bible writers were a diverse lot. Some of them, such as Moses and Luke, were well-educated for their time, and had a mind of their own. Others were more like simple-minded country folk who responded to God’s call. None of them truly understood that they were delivering the very Word of God to humankind. Yes, some of the Biblical prophets realized that God was speaking to them, and they delivered God’s messages to their people. But they thought they were just speaking to their own people. They had no idea that they were speaking to billions of future people in many widely different cultures. And none of the Bible writers fully understood the messages from God that they were delivering to the world. In other words, the authors of the various books of the Bible were generally unaware of the true nature of what they were writing. They were not aware that God was delivering through them a book that would become the ­Word of God in human clothing. By contrast, Swedenborg was clearly aware of his mission and how it fit into God’s plan for humanity. God showed him the vast sweep of human spiritual history, and the great depths of meaning contained in the Bible. Unlike the Bible writers, for Swedenborg to do his job he had to be able to accept teachings from the Lord intellectually. In other words, he had to be able to understand what God was saying to him, and why. He also had to have the ability to publish them in printed form. A simple way of saying this is that God spoke through the Biblical authors, but God spoke to Swedenborg. That’s because the Bible and Swedenborg’s writings have two very different jobs to do. Christians tend to think of the Bible as a book of teachings about God and salvation. For the most part, that is a misconception. There is actually very little clear and explicit teaching in the Bible. Most of the Bible consists of mythic and cultural history, prophecies, poetry, laws, and stories. One reason different Christians and Christian churches have such a hard time agreeing on the Bible’s teachings is that the Bible isn’t about teaching. It’s about life. The Bible is above all the story of our relationship with God. For the most part, it doesn’t teach us about God and salvation. It shows how God and salvation work by telling us the story of how God has reached out to us, spoken to us, and guided us through thousands of years of human history. Yes, there are some explicit teachings about doctrinal things in the Bible. But if we think that’s what the Bible is all about, we’re missing the great depths of divine love and wisdom that it offers us. Swedenborg’s writings are very different. They are explicitly intellectual writings full of teachings about God, the Bible, and the spiritual world. Swedenborg stated that in order to do his job, he must be able to accept teachings intellectually from the Lord. Swedenborg’s writings do also contain a lot of first-hand experiences and stories about the spiritual world. But even his most famous book, Heaven and Hell, starts out with a heavy dose of teaching about the nature of the spiritual world and the way God governs it. And whenever Swedenborg gets into conversations with angels and spirits, the topics always seem to turn toward theological discussion and debate. The whole point of Swedenborg’s writings is to teach us about God, the Bible, and how to live for heaven. Swedenborg opened his brilliant, well-trained mind to the Lord’s teachings, and did his best to deliver those teachings to us in written form, just as God commanded him to do. The Bible is a collection of books about our human experience of God’s presence, which also contain some teachings about God and salvation. It gains its greatest power from the deeper meanings within it, and the spirit of God flowing through it. Swedenborg’s writings are a collection of books teaching us about God, the Bible, and salvation, which also contain some experiences of God and spirit. Its meaning and message are explicitly spelled out right in its plain words and teachings. The Bible has great depths of spiritual and divine meaning hidden within it, reaching all the way to God. With Swedenborg, what you see is what you get. It should be clear from this that the Bible is far greater than Swedenborg’s writings. The Bible is the very Word of God in written, human form. There is no end to the divine love and truth contained within it. It surpasses every other book in the world. Swedenborg’s writings are a message about God, spirit, and the Bible delivered by the mind of a brilliant human being who was willing to serve as God’s messenger when God called him to perform that task. Now let’s deal with the idea that this website is based on the teachings of Swedenborg rather than on the Bible. This is a common charge made by traditional, evangelical, and fundamentalist Christians against those who have accepted the teachings found in Swedenborg’s writings. The irony is that the beliefs of the people who make these charges are also based on the teachings of human beings, and not simply on the Bible itself. It’s just that they usually don’t realize that. Years ago I spent an entire day sitting down with a fundamentalist Christian and debating our different views of Christianity, the Bible, and salvation. When I mentioned to him that his belief in salvation by faith alone came from Martin Luther (1483–1546), he denied it. He said that this teaching was from the Bible. However, when I asked him to show me a passage in the Bible that says we are saved by faith alone, he couldn’t do it. That’s because it simply isn’t there. And when I showed him James 2:24, which specifically denies salvation by faith alone, he argued that in that case the Bible doesn’t really mean what it says. James is a real problem for those who claim that the Bible teaches that faith alone saves. This young man did not even know where his own beliefs came from. Salvation by faith alone was one of the teachings that Martin Luther came up with in order to distinguish the Protestant Church that he was founding from the Roman Catholic Church from which he came. For 1,500 years before Luther, faith alone was not part of Christian teaching. And yet, Protestants who believe in salvation by faith alone think it comes from the Bible. It is a human teaching and interpretation originated by a specific human being: Martin Luther. The idea that there is a Trinity of Persons in God was developed by various Christian leaders, probably starting with Tertullian (c. 160 – c. 225) over a century after the last books of the Bible were written, and gaining strength with the first Council of Nicaea in the year 325 and the Athanasian Creed a century or two later. The idea that Jesus died as a substitute for us in order to atone for our sins (called “satisfaction theory”) was developed by Anselm of Canterbury (c. 1033–1109) a thousand years after the Bible was written, and further refined by Thomas Aquinas (1225–1274) into the doctrine of atonement and salvation that has been taught by the Roman Catholic Church ever since. Salvation by faith alone, and the idea that Jesus paid the penalty for our sins (called “penal substitution”), was developed primarily by Martin Luther and his protégé Philip Melanchthon (1497–1560) in the 1500s, and became the basic doctrine of atonement and salvation in Protestantism. The idea that we are predestined by God either to heaven or to hell was initially proposed by Augustine (354–430), and developed into a full-fledged doctrine by John Calvin (1509–1564) over a thousand years later. The idea that the Bible is literally true and inerrant was developed by various evangelical and fundamentalist Christian leaders in the 1800s and 1900s. These are just a few of the many teachings that millions of Christians believe they get from the Bible, which in fact come from various human theologians and church leaders throughout history. In fact, most of the key teachings that have been accepted by the world’s Christians simply aren’t in the Bible (see “‘Christian Beliefs’ that the Bible Doesn’t Teach”). Unfortunately, most Christians have not studied the history of their own religion. They have never learned where their beliefs actually come from. The reality is that the Bible is a very complex book. What else would we expect from a book that expresses in human language the infinite mind of God? The reality is that none of us is capable of understanding the Bible by ourselves. To learn what it means, we all rely upon others who have read and studied the Bible. No one reads the Bible in a vacuum. Everyone who reads the Bible also reads or listens to teachings about it from various ministers, teachers, authors, and theologians in order to gain a better understanding of it. The reality is that no matter who we are and what particular religious doctrines we believe in, those doctrines came from human beings who were more or less inspired and enlightened, and who taught their understanding of the Bible to others—who eventually taught it to us. It’s a catch-22, isn’t it? In order to understand the Bible, we must rely upon other human beings who read the Bible in order to understand it. So how can we know what the Bible itself teaches? Even if we read the Bible for ourselves, we still read it through the lens of the things we have been taught about the Bible. The reality is that there is no such thing as pure Biblical teaching, without human interpretation. The Bible itself was written through human beings, in particular human cultures. And it has been read and interpreted by many different human beings in many different ways throughout the thousands of years of Judeo-Christian history. Christians simply cannot turn off their brains and blindly believe whatever is presented to them by their ministers as “Biblical teaching.” And yet, anyone who tried to read the Bible cold would not be able to understand it very well. We must use the thinking minds God gave us to study the Bible and the various human interpretations of it, and decide for ourselves what is the best way to understand the Bible. The question is not whether to follow Swedenborg or the Bible. Everyone follows some human teachers. If you say I’m just following Swedenborg, I’ll say you’re just following Tertullian or Anselm or Luther or Calvin. The real question is which human beings we think were most enlightened in their interpretation of the Bible? That is something each one of us must decide for ourselves. For my part, I am willing to put the depth and power of Swedenborg’s interpretation of the Bible and the teachings of Christianity up against any of those other Christian theologians. I believe Swedenborg came closer to understanding the true nature of God, the Bible, Christianity, and salvation than any other human being in the two thousand year history of Christianity. But please understand that your beliefs, just like mine, are influenced by particular human beings and their interpretation of the Bible. We’re all in the same boat that way. There is nothing wrong with paying attention to Swedenborg’s teachings as we seek to understand the mind of God. It is part of God’s plan for us to teach one another about God, the Bible, and the life that leads to heaven until that beautiful day dawns when “they will no longer teach one another, or say to each other, ‘Know the Lord,’ for they will all know me, from the least of them to the greatest, says the Lord” (Jeremiah 31:34). By now I hope it is clear that the articles on this website are not based on the idea that the teachings of Emanuel Swedenborg take precedence over the Bible. The Bible is the Word of God. God is personally present in it, speaking to us, reaching out to us from infinite, tender divine love, and guiding us toward a more loving, more enlightened, and more spiritual way of life with our fellow human beings. In particular, the Gospels contain the story of God coming to us here on earth as the Lord Jesus Christ, fighting against the evil and falsity that engulfs our world, and offering us a pathway toward the light and warmth of God’s presence and salvation. Swedenborg’s writings can never do what the Bible does. Nor do they need to. 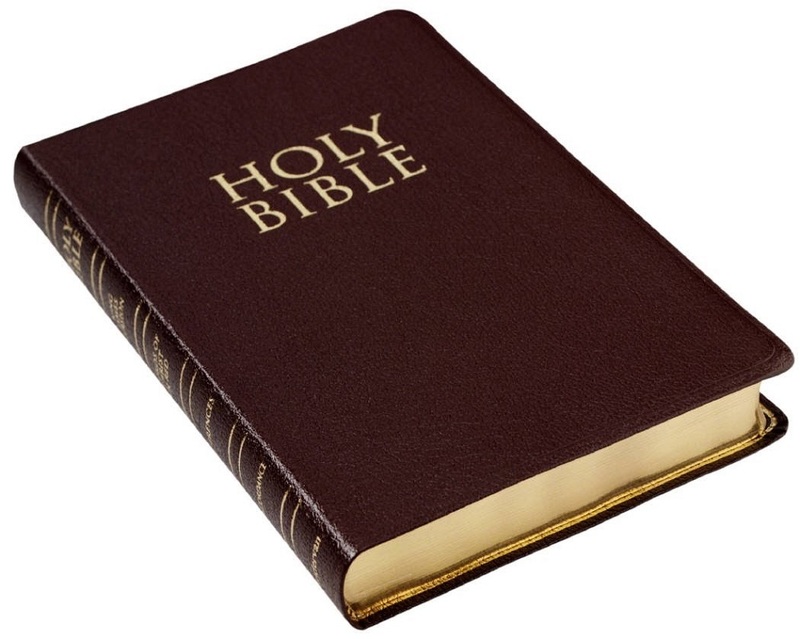 We already have the Bible. It is a complete Word of God in itself, from Genesis to Revelation. What Swedenborg’s teachings do offer is to help us understand the Bible more fully so that we can experience the Lord’s presence for ourselves more powerfully as we read its pages. Swedenborg’s writings do not replace or add to the Bible. They are like an amazingly detailed tour guide to the Bible written by someone who has experienced its depths for himself, with the Lord as his guide. For Christians, the center of everything is the Lord Jesus Christ. Swedenborg’s writings are like a series of road signs guiding and directing us through a complex and confusing tangle of conflicting beliefs—all of which claim to be the truth—toward our true destination, which is God’s presence in the Bible and in our own hearts, minds, and lives. Obviously, everything here is my own understanding of things. I am not asking you to believe it just because I say so, any more than Swedenborg asks people to believe what he writes just because he says so. There is ultimately only one true teacher, and that is God. For Christians, it is God’s presence in us as the Lord Jesus Christ. We humans can only offer one another thoughts and ideas that provide raw materials for God to work with in teaching and guiding us from within. All I ask is that if you are interested and willing, you approach Swedenborg’s teachings with an open mind, explore them for yourself, and consider whether the beliefs and interpretations they offer have the ring of truth about them for you. Swedenborg himself turned to Bible, and to the Lord as his guide, when he delivered to the world the teachings contained in his writings. As you read the articles on this website, I encourage you to do the same. Read the Bible for yourself, and see whether the things we say here ring true to its words. Listen to what God is whispering to you in your heart, and see if it is supported by the thoughts we offer here. If you find something here and in the teachings of Swedenborg that helps you to understand God and the Bible better, and to turn your life more and more toward loving the Lord your God with all your heart, soul, mind, and strength, and loving your neighbor as yourself as Jesus taught (Mark 12:28–31), then the thoughts and ideas presented here on Spiritual Insights for Everyday Life will have done their job. How Do I Love My Neighbor? Nice long piece about Swedenborg, Lee. I think it is about time that the New Church recognize he was not infallible, nor are his writings scripture. I would classify his writings as “Divinely influenced” not “Divinely inspired” – in that he was influenced to speak on certain topics in the same manner as the apostle Paul. Thus his writings get classified in the same way as the epistles: explicit doctrinal teachings, but not symbolic in the same manner as scripture. While his writings are a gem in helping to understand scripture, nevertheless every religion has a tendency to put a box around itself. Catholics will focus only on Catholic writings, same for Protestants, same for Orthodox. So I find it useful to take some other view or theory, and guided by what we know determine what is true, and what is false. For most other writings its a mix. For example, using the symbolism we can interpret ancient myths, or our own dreams. As for points where Swedenborg is wrong, I will skip the first point as we disagree on that. But when he says plants are male, the earth is female, I think he was stating that from a symbolic perspective – ancients used to call the earth their mother. Thus there is this story from ancient Rome where several leaders travelled to Greece and asked who would be the next king of Rome. The Oracle said, “The first one to go home and kiss their mother.” Brutus, on hearing this, feigns a trip and falls, kissing the earth. However its quite possible Swedenborg took this symbolism and then jumped to a false scientific conclusion. As for red and white being primary colors, that is the case in the spiritual world, and that comes also from others who have had personal revelations. Red is love, and white is truth. I agree about Swedenborg being parallel to Paul, in that his writings are doctrinal, and not in the style of the Word of God. Like Paul’s writings, Swedenborg’s do not have symbolic and spiritual meanings within them. They are written to explain things more clearly than can be done in the Word itself, so that a new spiritual era can take shape. However, Swedenborg had the advantage of greater and more continuous access to the spiritual world, and to clearer guidance by the Lord. Several times Paul mentions having no guidance from the Lord on a particular topic, and therefore giving his own opinion. Once Swedenborg started publishing Secrets of Heaven, there is no such uncertainty or hesitation on his part. Incidentally, though this article is written for a general audience–as is everything on this website–it does include some refutations of common beliefs about Swedenborg’s writings among people who belong to one or another of the church organizations that follow Swedenborg. Swedenborg himself threw his net wide. He used not only the Bible, but ancient and modern philosophers and theologians, not to mention the best science of his day, in building his case for the teachings contained in his writings. It’s too bad that many of his followers seem to think it’s unnecessary to stay current with advances in science, philosophy, and religion. About life on other planets, along with many scientists today, I believe it’s out there. The only question is how common it is. On this topic, Swedenborg picked up on an avenue of thought that was very common in his day: where there’s a planet, there must be human life. But that is a simplistic view, possible only when our scientific knowledge about cosmology, solar systems, and planets was in a rudimentary phase. We now have far greater and more detailed knowledge of how the large scale universe works. The evidence is overwhelming that most planets simply don’t have the right conditions to support life–and even fewer have the right conditions to host a complex ecosystem that can support advanced, intelligent lifeforms. Those religious and mystical types who continue to cling to the old, now disproven idea that every planet can and does support life will find themselves increasingly marginalized as science continues to move forward, and our knowledge about the planetary conditions required for life continues to build. I believe that much of the UFO literature is based on things that were experienced with people’s spiritual senses, not their physical senses. The idea that these things are physically out there misses the point. It’s a classic case of spiritual mythology and the workings of the human psyche superimposing themselves on physical reality, resulting in people believing in things that are scientifically impossible, against all scientific evidence. To understand what’s really going on, it’s necessary to gain a full understanding of Swedenborg’s teachings about how spiritual and physical reality work in general, and specifically the relationship between the human mind (or spirit) and body. There are a lot of people walking around thinking that experiences that actually took place in the mind and spirit were physical events instead. That has led to a lot of confusion, and to a continued (and unnecessary) breach between science and religion in various quarters. Having said all that, the main point of those examples of errors in Swedenborg’s writings was not to press any particular scientific points. It’s possible that Swedenborg was being purely metaphorical about plants being male and the earth being female. It’s also possible that even in the spiritual world, all colors do not literally come from red and white. The main idea, as you say, is the spiritual significance of the two colors. The issue the article highlights with that list is that Swedenborg does make scientific errors based on the limited science of his day. He is not infallible. The sooner the more traditional and conservative of his followers recognize this, the better. The idea that any revelation is 100% true and infallible is a superficial, low-level way of reading the text. If we know how the earth was physically created, so what? It’s fascinating, but from a spiritual perspective it’s nowhere near as important as how we humans are re-created spiritually through the process of rebirth as taught by Jesus and expanded upon by Swedenborg. Reading sacred texts as literally infallible misses 90% of their message. Even Swedenborg’s writings, in which the meaning is largely right in the plain words of the text, are meant to point to spiritual realities and understanding, not teach us about science, history, and culture. In Other Planets (traditionally titled Earths in the Universe) #167, Swedenborg is wrapping up his description of a fourth planet outside our solar system. He says that this planet is very small, having a circumference of “five hundred German miles.” This equates to about 2300 of our now-common English miles. By comparison, the earth is 24,901 miles in circumference at the equator, and Earth’s moon is about 6,786 miles in circumference. So this planet described by Swedenborg as inhabited is about 1/3 the size of Earth’s moon. The problem is, a planet that small would have insufficient gravity to hold an atmosphere, or even to hold liquid water on its surface. If it didn’t freeze, it would boil away rapidly into space. Such small planets simply do not have the necessary conditions to support an advanced ecosystem. Even the Moon, at three times its diameter, does not have sufficient gravity to hold an atmosphere or to keep liquid water contained. And if my vague recollection of high school geometry is correct, the volume, and therefore the mass and gravity, of a planet increases or decreases proportionally to the cube of its diameter. So this planet would have only 1/27 the gravity of the moon. Anyone on its surface who jumped too high might go floating right off into space! In short, such a small planet would be an airless wasteland, incapable of supporting life. And yet, Swedenborg describes lakes, streams, fields, sheep, flowers, houses, men and women, and a relatively small sun beaming its rays down genially upon them all. We now know that the complex, lush ecosystem Swedenborg describes simply cannot exist on a planet that small. For comparison, this planet would be about the size of Uranus’s moons Ariel and Umbriel, and slightly smaller than Saturn’s moon Dione. Like Earth’s moon, all of these small planets are airless, with desolate, cracked or crater-pocked landscapes. Planets that size simply cannot support complex ecosystems on their surface. The most we hope for on any of the other planets in our solar system is simple, microbial life in some sheltered pockets. However, in Swedenborg’s day the science of planetary gravitation, atmospheres, and related phenomena had not yet been developed. He did not realize that he was describing an impossibility, since the science required to realize that was not available to him. I’m aware of various fancy mental gymnastics and loop-de-loops of logic that various followers of Swedenborg have engaged in in their attempts to hold onto the idea, against all scientific evidence, that there are people on all the planets as Swedenborg says. All this does is make them look foolish to anyone who actually knows anything about how planets work, and what conditions are necessary to support life on a planet. A fifth-grade astronomy enthusiast could easily point out their mistakes. This has all been worked out fairly carefully by scientists and astronomers. Though there is some wiggle room around the edges of our knowledge in this area, the vast bulk of planets in existence fall far outside the possible limits of being able to support intelligent life. They’re too big or too small, too close or too far away from their sun. A planet must be within a certain size range, and within a certain distant range from its sun (called colloquially “the Goldilocks zone”), in order to support life. It’s time to accept that Swedenborg was mistaken on this point, and move on. Yes, when I saw some opinions on the infallibility of Swedenborg’s writings, my reaction was “where did THAT come from?” I still don’t get it. So of course he makes errors, no doubt about it – not just in science, but also the Latin translation of the Hebrew he used had errors in it, and just very plain factual historical errors – such as the date of the Nicene Council I believe. The importance is that he reveals the keys to unlocking the symbolism, and recognizing HOW the BIble is Divinely Inspired. That is what is important here. He has basically provided the proof to showing how the Bible is Divinely Inspired. No one else has done that. Ever. That is a question that constantly pops up. But as for life on other planets, the “Goldilocks Zone” assumption is incorrect. See “Circumstellar Habitable Zones for Deep Terrestrial Biospheres” for life underground at http://www.lpi.usra.edu/meetings/lpsc2013/pdf/2931.pdf published in 2013. We are surface dwellers and we assume everyone else is. Also see, “Was Venus was once an inhabitable planet?” at http://www.esa.int/Our_Activities/Space_Science/Venus_Express/Was_Venus_once_a_habitable_planet. We also now know Mars once had oceans and rivers. So of course I am not saying the surfaces are inhabitable, that’s obvious. Swedenborg simply got in touch with some intelligences and reached the false conclusion that the planet was inhabited on the surface. There are “things” floating out there, some very large (around Saturn), and Swedenborg may have simply just got in touch with them. As for their connection with spiritual phenomenon, I have seen accounts where one group is spiritually advanced. They can, quite frankly, do what Swedenborg did at will, that is commonplace for them. The account was published in 1952 and in that published account they said a “Great Disaster” involving our nuclear power would happen in 1986. And we all know what happened at Chernobyl. Swedenborg of course wrote a negative opinion on prophecy, and there of course he was a bit wrong on that as well as sometimes it is permitted. As for miracles, they still happen as well, but within the private audience of typically the Catholic and Orthodox churches. Yes, the important things in Swedenborg’s writings are the explanation of the spiritual meaning in Scripture, the renewal of Christian doctrine on a true Biblical and rational foundation, the revelation of the true nature of the Lord God Jesus Christ, and the revealing of the real nature of the spiritual world and the afterlife. All the other, non-spiritual elements in his writings are simply vehicles to deliver the spiritual content. The fact that the matrix has flaws does not detract from the value of the precious gem of spiritual understanding enlightenment offered in Swedenborg’s writings. As for where the idea of inerrancy in Swedenborg’s writings came from, I think there are certain character types that require black and white thinking in order to keep themselves on the strait and narrow. It was probably inevitable that there would be fundamentalists among the followers of Swedenborg. Thanks for the links to those two articles. However, to be clear, those articles are not suggesting that there might have been advanced, intelligent life on Venus, or that advanced, intelligent life can develop deep underground on certain planets outside the regular habitable zone. They are raising the possibility that simple, low-level life might have been possible on Venus in its early stages, and may be possible deep underground on certain planets that are outside of the zone in which advanced ecosystems can develop on the surface. About Venus, even if it was briefly habitable, there simply wasn’t enough time for advanced life forms to develop. It took about 4.5 billion years for intelligent life to develop on earth. Any life on Venus would have reached only a rudimentary stage before the planet became uninhabitable. I’m aware of conjectures that the people believed by Swedenborg and others to exist on other planets in our solar system and elsewhere may not be on the surface, but may be underground. I find this unconvincing scientifically. I doubt you will find any reputable exobiologist who would accept the idea that intelligent life could develop miles below a planet’s surface. For one thing, there simply isn’t enough space down there. Most of the simple, low-level life forms they’re talking about would develop in cracks, crevices, and small openings deep underground. In the case of Swedenborg’s descriptions, with the possible exception of the Moon (whose lack of atmosphere Swedenborg was aware of), the underground hypothesis simply doesn’t work. Wherever he describes the physical features of a planet’s living space, it is an earth-like, surface environment, not an underground one. These people see the sun and stars above their heads, and they inhabit houses in the middle of forests and fields, complete with domesticated animals, oceans and lakes teeming with fish, and so on. It’s very clear that Swedenborg saw these places as earthlike environments. If they had been underground habitats, that fact would have been fascinating to him, and there’s no way he would have left it out of his descriptions. All of what I’ve read that attempts to support the idea that the other planets in our solar system have inhabitants strikes me as grasping at straws in an attempt to stretch scientific knowledge as far as possible in order to allow for something that is scientifically impossible. It’s really no different from fundamentalist Christian Creationists who grasp at every quasi-scientific “fact” they can find to support their young earth theory, when the science supporting an old earth is simply too overwhelming to be mistaken. I’m aware that science can be mistaken too. But there comes a time when the evidence is so overwhelming that it’s time to admit that previous views were mistaken. I believe we’re now far past that point when it comes to all the planets in our solar system being inhabited, and every planet everywhere in the universe being inhabited. These ideas simply cannot be supported anymore by any scientific and rational person. They are holdovers from a previous age, before we developed a fairly sound and detailed understanding of how planets and solar systems work. About these people who could do what Swedenborg did, I’d have to see names and titles. Many people have claimed to be able to do what Swedenborg did, and even to be more advanced than Swedenborg. But when they’re looked into they usually turn out to be little more than spirit mediums. As for prophecies of material-world events, those strike me as parlor tricks, not real enlightenment. It’s sort of like popular astrology: If you make vague predictions, something’s bound to come up that will look like its fulfillment. The human mind has an amazing ability to come up with fanciful and far-fetched explanations of how a particular prophecy really does apply to certain events that in fact aren’t all that much like the actual words of the prophecy. Or the actual words of the prophecy are so vague that they could apply to any number of events. It also helps to make a high volume of prophecies and predictions. Then at least a few of them are bound to come true. I came across an article saying that the U.S. military fired 250,000 rounds of ammunition in Iraq and Afghanistan for every enemy soldier killed. Fire enough “bullets” of prophecy, and some of them are bound to hit their target. Those are the ones that “count.” People dig them up and get all excited about them, while ignoring the far greater number of prophecies that missed. Real enlightenment is about spiritual realities, not material events. Though some people get excited about a few stories of Swedenborg revealing secret material-world information to well-known people, he considered those incidents to be trivial. For the most part, he politely declined requests for information that would “prove” the reality of the spiritual world to materialistic minds. In my opinion, “proofs” of clairvoyance, prophecy, and so on by correctly predicting future material-world events are worse than useless. They distract the mind from things that are truly significant. The main event, Swedenborg said, is the new spiritual light now dawning on this world. Thanks for an interesting piece on your views on Swedenborg and the bible! You’re welcome, Angela. Glad you enjoyed it! I think maybe it is useful to distinguish between Swedenborg’s spiritual experiences …..
[My comment: ‘had been inhabitants’ … maybe billions of years ago? …… and his earthly reasoning and personal opinions ……..
6697: How can anyone who knows these facts and thinks from reason, say that these are empty bodies! It’s true that Swedenborg says he spoke with the spirits of people who came from those planets rather than with the people currently living on those planets. However, for some of them he was also allowed to see what things were like on the planets themselves. But beyond that, current scientific knowledge makes it overwhelmingly unlikely not only that there is any intelligent life currently existing on any of the other planets in our solar system, but also that there ever was any intelligent life on any of them. Though there may have been relatively brief periods on some of them–such as Venus and Mars–in which simple forms of life could have developed, those conditions did not last anywhere near long enough for a complex ecosystem capable of supporting higher lifeforms to develop. About “empty bodies,” the science of cosmology and astrophysics simply wasn’t developed enough in Swedenborg’s day to provide any understanding of how uninhabited planets can and do contribute to the universe’s ability to host inhabited planets. To Swedenborg, an uninhabited planet looked useless. But now, with a more advanced understanding of the long and complex processes needed to produce solar systems with planets capable of supporting advanced lifeforms, we can see those “empty planets” in a whole new light. It probably took two or three generations of stars forming, going through their life cycles, and going nova before the universe had enough heavy elements in it to form the rocky, metal-cored planets capable of supporting life that now orbit later generations of stars. Heavy elements are formed only in the later part of a star’s life cycle, when the star’s vast supply of hydrogen has already fused into helium, and the star starts fusing progressively heavier and heavier elements before finally getting to iron, and then coming to an explosive end, creating still heavier elements in the process, and scattering some of this material out into interstellar space. Gas giant planets such as Jupiter, Saturn, Uranus, and Neptune can be thought of as giant chemical laboratories producing massive quantities of organic compounds that future planets can use as building blocks for life. These compounds seed the local area of space when their sun burns out and drives much of this material out into space in the process. The compounds are then available when that material later re-coalesces to form a future solar system. Comets and asteroids crashing into the earth during its early stages probably delivered most of the water required to form its oceans and thus create the conditions necessary for life to develop. Nothing in the universe is wasted. But intelligent life is an incredibly complex achievement. Producing it takes tens of billions of years and vast stretches of space in which many highly complex and specific processes take place that are necessary for the development of life on a fraction of the total number of planets in the universe. About heaven and civilizations of different “geniuses” (an old word for character types), one thought that’s struck me lately is that our common conception of a cozy little heaven consisting of the equivalent of one solar system is way off. If we consider how vast the physical universe is, and that it is produced through the spiritual universe, doesn’t it stand to reason that the spiritual world (perhaps it should be called the spiritual universe) is actually much vaster than the material universe? If so, then the people gathered there from any one planet are probably aware of only a tiny fraction of the total extent of the spiritual universe in which they live. There will be trillions of other civilizations of which they know nothing. A few groups and cultures in the spiritual world do enjoy traveling to other regions and exploring “strange new worlds.” But most are content to stay in their own homes and communities. They have no particular desire to learn about cultures and civilizations very different from their own. Hence the general lack of communication or association among the people there who come from different planets, solar systems, and galaxies. However, the spiritual universe is still all bound together by God’s universal presence and God’s arrangement of the many different worlds and civilizations of heaven into one harmonious whole. Thanks Lee for the expose. It’s a reality that spiritual and scientific knowledge do not only become more accessible but clearer with time. Comparing the information obtained in the early 19th century to that of 21st may not be fair. However, the document Arcana Celestia is talking of things that cannot be seen by physical eyes. This cannot be disputed, just like the experience of John in the Island of Patmos. I am happy that Swedenborg could not be described as perfect or infallible. Only God is perfect. Swedenborg to the best of my knowledge was not out to create a sect or doctrinal believes outside Jesus Christ. Let us all continue to look unto Jesus the author and finisher of our faith. Good to hear from you again. I enjoy hearing your thoughts. We humans are continually growing in knowledge. If we didn’t have better scientific and spiritual understanding today than we did 250 years ago, that would be a sad state of affairs! I agree that Swedenborg was not out to create a sect, and that the doctrines he taught were intended to focus our understanding and attention on the center of all: the Lord God Jesus Christ. Swedenborg was pretty adamant that life exists on other planets, including our moon, but the important point he makes is that they are all different genius and thus separated in heaven. Now we will never witness this in our earthly life even though we landed on our moon since it would bring “spiritual chaos” and the Lord will not allow this — this is why they are separated in heaven. Therefore even though other planets appear inhospitable to our “human” eyes they can be there in a different spiritual dimension — for lack of a better term to protect any spiritual interaction. This is quite easy to see. He is so dead right on his salvation theology and afterlife explanations that it strains credulity that he is wrong on this topic. Also his idea of empty useless space bodies (despite your speculative science) rings true. Remember hundreds of years later with modern technology most life after life survivors, on the whole, correlate his descriptions — an astounding revelation. He will be proven right in heaven when we all have more wisdom on this topic –no need to move on. Though it expresses a different view that yours, you may find some helpful ideas in it. I read your summary — interesting and thoughtful. The idea that life Swedenborg describes is outside our solar system and thus probably we will never interact with them probably does cover the separation necessary In my previous post. Nevertheless, I do find it difficult to believe that Swedenborg misidentified the planets especially our own moon. And if so why would God have allowed such a glaring error from another spirit or angel. Since I only read excerpts from Other Planets I do need to read the entire book to consider your conjecture. By the way “by another spiritual dimension” I meant that Swedenborg was talking about “material” other earths and other human beings. But because the Lord needed to spiritually protect those on other planets from us and each other He puts blinders on our human capabilities to both interact and see the true nature of the planets. For example we now can see our moon as barren and lifeless because God deems it so, but in reality it is brimming with life. And the reason Swedenborg did not disclose this is that the Lord evidently did not want him to know for some Divine reason. As I say in the “Aliens vs. Advent” article, my view is that angels don’t have any more advanced science than people on earth. Swedenborg’s science impelled him to believe that all planets are inhabited by human beings. So he interpreted what he saw in the spiritual world in terms of that science. The angels who were in contact with him had no more advanced science than he did, since science comes from, and is the study of, the material world, not the spiritual world. There are many statements in Swedenborg’s theological writings that we now know to be in error scientifically or culturally. Getting stuck on those rather superficial errors is missing the point of Swedenborg’s writings, which is to deliver spiritual understanding and enlightenment. I don’t think God has blindered us so that we can’t see the people on the other planets in our solar system. Rather, I think Swedenborg’s interplanetary science was insufficiently developed for him to see how planets could be useful to God’s purpose for the universe (a heaven from the human race) without being inhabited. With today’s more advanced science on this subject, we can see how uninhabited planets contribute to that purpose. One more thought: when it comes to spiritual writings, there must always be a way for non-believers not to believe their message. Otherwise our free will in spiritual matters would be violated. If we had found people on the Moon, Mars, Venus, and so on, it would have tended to force people to believe that Swedenborg was correct for superficial and materialistic reasons. For people whose focus is on material reality rather that spiritual reality, the scientific errors in Swedenborg’s writings are a handy way to dismiss those writings as untrue and unfounded, thus preserving their spiritual freedom. People who focus on spiritual reality, however, will consider scientific issues and errors to be insignificant compared to the tremendous spiritual insights and message delivered by Swedenborg’s writings. In which of Swedenborg’s books can I find these statements that you say are false. •There are human beings living on every planet in the universe, including Earth’s moon and all of the rest of the planets in our solar system. •Insects, rodents, and even large mammals can be created instantly by spontaneous generation. black mother will be white. •All plants are male; the earth supplies the female element for the germination of new plants. •Red and white can be combined in various ways to produce all other colors. Thanks for stopping by, and for your question. Swedenborg wrote a book called Earth in the Universe about people living on the other then-known planets in our solar system and on five planets outside of our solar system. The other statements in the list are scattered throughout his books. We’re in the midst of a move right now, so I’ll have to get back to you on those. Just out of curiosity, why do you want to know? I hope you are having a good weekend. I was reading over this article again. Swedenborg’s experience does seem very different from what others who have had NDEs or other revelations have claimed. Of course there have been several people who came along over the years and started a *new* Christianity based on an alleged revelation from God (the founders of Mormonism, Jehovah’s Witness, Christian Science, etc). You have explained that you follow his teachings and believe they have weight because of how they make sense of the totality of the Bible. Is there anything in particular that might convince an outsider that Swedenborg did truly interact with the supernatural? For example, was he able to predict anything in advance? Did he ascertain knowledge that was not accessible to him otherwise? I did read that he knew about a fire and predicted the date of his death but I don’t know if that is just anecdotal. Yes, there are several such stories that are fairly well attested. You can read about them in the biography The Swedenborg Epic, by Cyriel Odhner Sigstedt (London: Swedenborg Society, 1981). They are recounted in the chapter titled “Astonishment in Sweden.” To read that chapter free online, click here. However, I should add that Swedenborg himself viewed these incidents as rather unimportant, and even as distracting from the real reason (as he saw it) for accepting the teachings in his writings, which is that they are based on the teachings of the Lord in the Bible, not to mention being in accord with human reason and experience. Still, the stories of his ability to interact with the supernatural are there at the second link above if you wish to read about them. Hello David, the evidence is overwhelming, the fire of Gothenburg which was investigated by Kant is just one example. But Swedenborg stated that one should examine the writings from the truths that they contain, and he warned against evidence by “miracles” and even discouraged prophecy. These are “external” proofs of the outer senses which close the higher understanding. The other point to consider, is that unlike Mormonism, or Jehovah’s witnesses, or other religious movements, Swedenborg did not seek to establish a church. Also note, that his “ego” is almost completely absent, and he published his writings anonymously. Many religious movements are merely the result of someone wanting to establish their ego over others. So given that the evidence is unquestionable, the critics of Swedenborg and the New Church say the exact opposite: they state that the fact that Swedenborg had these abilities is proof positive he was in contact with an evil spirit. Worse yet, Spiritualists have adopted Swedenborg as their founder. I know one New Church that shares their facilities with the Spiritualist church (what are they thinking? not sure). You have to understand, very, very few people question their own religion, and when confronted with something that disagrees with it, will find anything to criticize and reject what does not agree with their traditions. Same thing happened to Jesus in his arguments with the Pharisees: they did not deny his miracles, but they rejected his teachings, and merely said his miracles were the result of him being possessed by a devil. So, for those people, I merely bring up the doctrines, and evidence from scripture first. I am an curious reader of Swedenborg, His personality intrigues me, and fascinates me. He also talks of the apocalipse, the last judgment, that already happen and that was culminating on the beggining of the new church. He talks that after he finished wrote the True Christian Religion book, Jesus sent the apostoles. From what i can say, Swedenborg though it was special. He attributes himself a special place on the bible. The Last judgment happened already and new church would replace the old dying one. This is where Swedenborg failed the most. The Catholic church is far from dying. Maybe Swedenborg was just impressed by his abilities of enter the spiritual world and created the ilusion that we was special, and that his teachings would create a new church which would replace the old one. Thanks for stopping by, and for your comment. These are all very good questions and wonderments. I would say that although Swedenborg believed that his experience was special, and a gift from the Lord, he did not consider himself to be special except as an instrument of the Lord’s will. In fact, he did nothing to gather a following around himself, he made no money from publishing his theological works (he paid for their publication himself, and apparently donated any proceeds to charity), and despite thoroughly debunked rumors circulated by his enemies that he had gone insane, he continued to be a solid, stable person, popular at parties as always, and taking his seat on the Swedish House of Nobles whenever he was in Sweden, right to the end of his life. He did not go around trumpeting his spiritual experiences, but only responded to questions about them when asked, and rarely responded to people who wanted him to give “proof” of his spiritual experiences, simply telling them to read his books and judge for themselves. In fact, he published all but the last few of those books anonymously, and it was some years after he started publishing them before anyone even knew who their author was. So although Swedenborg was certainly aware of the magnitude of his claims, and made no bones about them, all biographical evidence points to his considering himself to be simply a “servant of the Lord Jesus Christ,” which is how he signed his final published work, True Christianity. Some of his more conservative and doctrinaire followers have come to the conclusion that Swedenborg’s writings are the Second Coming of the Lord, but I believe this is a major mistake, and not what Swedenborg meant at all. Rather, I believe it is the revelation of the teachings contained in them that Swedenborg meant when he spoke of the Lord accomplishing his Second Coming through him (Swedenborg). And about that, you’ll just have to take Swedenborg’s advice, read his books, and decide for yourself whether or not you believe his claim is valid. Do his teachings make sense to you? Do they answer your spiritual questions? Do they help you in your day-to-day life? Is the World Coming to an End? What about the Second Coming? Christianity is Dead. Long Live Christianity! About the new church, I agree that the institutional Swedenborgian church is not it. I think, rather, that the various Swedenborgian church denominations are part of a transitional phase from the old Christian church institutions to a new church, or spiritual era, that will be quite different from the Christian Church of the last two thousand years. The future state of the world will be exactly the same as it has been up to now; for the mighty change which has taken place in the spiritual world does not cause any change in the external appearance of the natural world. So just as before there will be politics, peace treaties, alliances and wars, and all the other general and particular features of society. . . . The future state of the church, however, will not be the same. It may seem much the same in outward appearance, but inwardly it will be different. In outward appearance the churches will be divided from one another as before, their teachings will differ as before, and so will the religious systems of non-Christians. But people in the church will henceforward have more freedom in thinking about matters of faith, and so about the spiritual matters which have to do with heaven, because of the restoration of spiritual freedom. . . . In other words, the Lord’s second coming, Swedenborg said, would not bring about any immediate, obvious outward change in society. Churches would continue on institutionally as they had before, teaching the same things, and engaging in the same rituals and church life. The change, he said, was inner and spiritual, not outer and institutional. And yet, Christianity has now lost most of the power and influence it had in its heyday, when it was the final arbiter of truth and law in Western society, and when it held the reins of political power in its hands, deposing kings and changing governments practically at will. In Europe, Christianity is a mere shadow of its former self, and even in the New World it is losing ground both in membership and in societal influence. So now, over two centuries after Swedenborg said the Last Judgment happened in the spiritual world, and the Lord made his spiritual second coming, we can begin to see the effects of those events spreading out into the world, weakening the grip that the old Christian institutions used to have on Western society, and bringing about greater freedom of thought and life throughout the world, and especially in the Christian world. As for the form that the new church will take, like the angels (according to Swedenborg), I don’t really know what form it will take. I’m still trying to figure that out. But I believe that it will not be the priest-centered ritualistic type of church that takes place in old-style church buildings with pews and altars and baptismal fonts. We live in a new type of society. Whatever this new church turns out to be, I believe it will take a form appropriate to the new society and new world in which we live. Thanks again for your good comment and question! I hope my responses throw some light on these issues in your mind. I have read some NDE, people talking to Jesus, one of them said that Jesus said the second coming would occur before that person died. He’s dead and the second coming is nowhere to be seen. Other people said that the second coming would be in spirit to people minds. I tend do agree more with that. The thing is there are lots of second comings that are nowhere to be seen. The second coming of Christ is probably one of the most misconceptions of NDE’s or even Swedenborg itself. Maybe the second coming is just a spiritual coming to every person individually, and not Jesus coming to the world again. I dont really know. Or maybe what Jesus wants us to know is that Jesus already here again, spiritually. But we cant see it. I dont understand the distinction you made between the writings and the teachings of Swedenborg. The truth is Swedenborg wrote that he would be a vehicle for the second coming of Christ. The thing is Swedenborg teachings are not very widespread and known. It’s difficult to me to understand that Swedenborg has a major part on the bible story, when is presence is rather unknown to the world. It had an impact indirectly on literature and culture, but not more then that. The people who follow him are a tiny, tiny minority. He was wrong, here, i believe. His writings dont have a major impact in this world. Maybe they will have in the future who knows. It didnt ring any truth in me that the last judgment already occurred. As you talk wisely about the impossibility of one understanding the reality of God exactly, i think that as there is no exactly 2 NDE experiences, GOD reveals to everyone as people might understand them. In a way, the spiritual world is not 100% objective, in the sense that no human being could compreend it 100% since is limited. No one ever could have an 100% understanding of the spiritual world. It’s a world of correspondences and pure ideas, and symbolism. So even if Swedenborg experience was a very, very special NDE experience, and part of his experience was the way he was able to understand, even tough he was a incredible gifted person he had limitations. I am impressed by Swedenborg. I tend to come and go regarding to Swedenborg texts. I read then a hurdle comes. I then leave Swedenborg on shelves for a while. But that’s part of the process. The extra-terrestrial was an huge hurdle, but not now. As far as i am concerns who knows if there is no life in moon, or venus, or Mars. What science can really tell us about it? Not much. It can tell us that there is not life in moon, venus, mars composed of electrons, quarks (visible and dectectable matter, our kind of matter). But do we really know that only this of kind of matter exists? The particles which are unknow to us, do they dont exist? Scientists now know that there is dark matter and dark energy, but it’s invisible, and they really dont understand it very well. They can sense their effect via gravitiy. The dark matter interacts only with gravity and weak force. Regarding quarks and electrons, and the other 2 forces (electromagnetic and strong force) they dont interact at all. Maybe they are composed of that matter that it’s invisible to us. Even if its not dark matter, maybe it’s a different thing. Or maybe Swedenborg is dead wrong here. But the thing is we cant know for sure, that there is no life on the moon, as we cant tell that there is an afterlife. As an ant cant see, understand, and sense the reality of men even if they are composed of the same quarks and electrons. Men cant sense all there is, materially all particles in the universe and spiritually. Science it’s much more limited than we tend to think of. Trying to define reality based on what science gives us, its like atheists saying God cant exist because science cant measure it. We dont know. Its an temptation to assure us, to thing that common sense is what we can get from science. It’s reductive to impose such a reality. We have to be open minded, and just leave it open, without knowing. The idea of purpose in everything it exists it’s a spiritual view. And the lack of it it’s the temptation of a materialistic view. But also trying to create a vision based on all purpose it’s a temptation Swedenborg might have fallen, or not. We cant know. The thing is, i think it’s not essential for us to know if there is life on moon, or not. Even the angels and demons, sometimes we have to “forget” about it. We can be thinking on it, on God, angels, afterlife, nature of love, and be distracted on our fellow neighbor who is on our side, and who’s is suffering and need attention. We might focus on the wrong things sometimes, even if too sublime they are theoretical and abstract sometimes. They are not need here. Time and space dont exist in afterlife. But they exist here. They are needed. We have to get schedules, and travel to other places in order to be of use to the world around. In this world we are subject to our limited senses. We must live here. In a way the only thing it matters is to learn more and more what love is. Because despite our limited senses, and limited energy we can mature more and more. Jesus wants us to focus on Love above everything else. That’s my take. Swedenborg said this like it was true, even if it didnt know. He was just affirmed based on what? Why did he said such a thing with conviction if didnt had any basis to confirm it has true? In their time lots of people would say phrases like this, just based on their common sense. Maybe it ring it true for them. The thing he got right on many things, but get wrong on other things. He and lots of people on their time fall on the tempation of affirming things that seemed true to them even if they didnt knew. It’s dangerous to us to think that something is true just because we feel it so. He also get true on many things like neurons, etc. I have read only few articles on your site, just found out a couple a days ago, but its really good. Keep it coming. Also props to Swedenborg foundation. I guess that when Jesus said ” Blessed are they that have not seen and yet have believed.” is also because something along the lines: Blessed those who focused mainly on Love and not on outside proof. Yes, I think that’s a good way of thinking about that saying of Jesus. Thanks for your follow-up comment, and for your kind words about the blog. There’s more in your comment than I can quickly cover, but I’ll respond to at least some of it. Of course, you’ll have to make up your own mind about Swedenborg based on your own reading. Certainly he had an ego. He talks about it in some of his private diary entries. And he had to wrestle that ego to the ground throughout his earlier lifetime, and especially during his transition to his new, spiritual task later in his life. It shows itself still in some of his conversations with spirits and angels as a certain level of confidence and self-assuredness that he speaks the truth. But I supposed you’d need that sort of confidence to break all the theological rules, speak out boldly against the overwhelming weight of human error (as he saw it), and present a completely different version of Christianity in his theological works. About his belief that all the planets in our solar system are inhabited, and the science in his theological writings in general, see my article: Aliens vs. Advent: Swedenborg’s 1758 Book on Extraterrestrial Life. And of course, I encourage you to keep reading the various articles here. There are well over 200 articles on the site now, covering many practical and theological issues from a biblical and Swedenborgian perspective. As for where he got his science, it seems to have been distilled from the best science of his day, including his own earlier scientific research and writing. We don’t know where everything came from. But I think it’s unlikely that he made anything up out of thin air, such as the idea that the child of a black father and a white mother will be black, and the child of a white father and a black mother will be white. That was probably a common belief in his day. Science really was in its infancy in his day, and Mendel didn’t come along until the century after Swedenborg died. As for NDEs, they are a good source of general assurance of the reality of the spiritual world. But they’re not a particularly good source of reliable information about the spiritual world and its nature. Those who have them just haven’t spent enough time there to fully get their bearings, and they’ll tend to have prior beliefs confirmed, even if those beliefs are mistaken. For a related article, see: What about Spiritualism? Is it a Good Idea to Contact Spirits? NDEs are not spiritualism. But there is some overlap, in that NDEers do commonly meet spirits on the other side, and they don’t always get correct information from those spirits. This is also covered to some extent in the current (above) article. By “the writings of Swedenborg” I meant the books themselves. Some conservative Swedenborgians believe that the books Swedenborg wrote are the Second Coming of the Lord. But I believe that it’s the teachings those books conveyed, or more generally, the spiritual truth itself, which was revealed to the world through those books, that is the Second Coming “in spirit and in truth.” It’s a somewhat subtle distinction, but it’s the distinction between the books and the truth expressed in the books. And though Swedenborg is not well-known in today’s world, he was quite well-known among thinkers and writers of the 19th century and the early 20th century. Through them had a greater influence on the mindset of Western culture than you may realize. Such figures as Blake, Emerson, Thoreau, William and Henry James, Jung, Kant, and many others read and were influenced by Swedenborg, and had a huge impact on society. So most of his impact on society was indirect, and therefore not always easy to trace. But that impact, I believe, was actually quite profound. And I believe that Swedenborg will become better known in the coming century, as more and more people abandon traditional church organizations, but then realize that they still want some spiritual foundation and structure beyond what the old churches can offer. This blog is only a few years old, but it’s currently getting well over a thousand hits a day—and based on the comments, most of the people who find, read, and appreciate the articles here are not Swedenborgians. The Swedenborg Foundation’s Heaven and Hell Community on Facebook has over 300k likes—and there just aren’t enough Swedenborgians in the world to supply that many. Also, Swedenborg is the primary source of the popular idea today that angels are human beings that have gone on to heaven. This was not official church doctrine or popular belief up to his day. Angels were seen as a separate creation, and still are seen that way today by many doctrinally-oriented traditional Christians. For some documentation on this, see my answer at Christianity StackExchange here: What is the source of the belief that the deceased become angels? I realize this doesn’t respond to everything in your comment. But I hope it gives you a few things to chew on. I came across swedenborg’s teachings through Reading John Clowes book on the person of Christ. I agree with most of what clowes believes about the trinity and the progressive incarnation of Christ. I can’t believe a lot of what’s Swedenborg teaches. I don’t think he was the man chosen to be the second coming of Christ. I don’t believe that people who do not believe in Jesus go to heaven. Because of so many fundamental errors in swedenborg I have to reject his writings as a whole. How did you come across John Clowes? John Clowes was an amazing man. He was fully convinced of the truth of Swedenborg’s teachings, but remained an Anglican minister to his dying day, preaching Swedenborgian theology from his Anglican pulpit in Manchester, England, for some 50-60 years, until the time of his death. He also translated many of Swedenborg’s works from Latin into English, and wrote and published many books, pamphlets, and Bible commentaries expounding and expanding upon Swedenborg’s theology and Bible interpretations. About Swedenborg, he certainly didn’t teach that he, Swedenborg, was “chosen to be the second coming of Christ.” In fact, he would have been horrified at such an idea. On the title page of his final published theological work, he signed himself, “Emanuel Swedenborg, servant of the Lord Jesus Christ.” And that is how he viewed himself: as a servant of Christ. What he did say is that the Lord chose him as an instrument in accomplishing the Lord’s second coming, in that he (Swedenborg) was able to receive intellectually and publish in print the teachings that would be for the New Jerusalem. See True Christianity #779. He viewed the second coming itself not as another physical incarnation, and certainly not as being himself, but rather as a coming of the Lord “in spirit and in truth” (see John 4:23-24). Swedenborg believed that the spiritual truth that the Lord revealed to him, and that he published in his works, was a key part of the Lord’s second coming in spirit and in truth. Swedenborg saw himself as merely an instrument and conduit that the Lord used to accomplish that. About people who do not believe in Jesus going to heaven, Swedenborg is simply saying what Paul had said 1,700 years earlier. You can read it in Romans 2:1-16. And Jesus Christ himself tells us how the people of all nations (not just Christians) will be saved or condemned in the judgment in Matthew 25:31-46. However, of course, you are free to believe what you wish to believe. And you should of course follow your own conscience and your own beliefs. Hello Kelly – remember the NT teaches that after Jesus died, he went to the souls that were held captive in the other life and released them from the power of hell (1 Pet. 3:19). They did not know who Jesus was when they died. If that is the case, then indeed it is still possible for those who have done good to be taught about Jesus after they die (which Swedenborg confirms). Lack of knowledge is no fault of theirs. Also, Jesus confirmed Abraham was in heaven (Matt. 22:32) which is also confirmed in Luke’s parable of the rich man (Luke 16:22-25). And there is also Matt. 25:31-46, where many who did not know the Lord were accepted into heaven because they lived according to His will. Those who did know the Lord, yet lived according to evil, were rejected. Knowledge is good only insofar as one practices it in life. So if Swedenborg was wrong about life on other planets of our solar system… but he says he did see it, and talked with angels from those planets. Why should i believe that Swedenborg was wrong here and not on heaven and hell. Was he imagine those things, but not on other experiences? Was he delusional on talking with spirits of jupiter, mars, moon, but not with angels and spirits from hell, of people who lived on earth? Thanks for your comment and question. As I said in the article, Swedenborg is not infallible. But just because he is wrong about some things, that doesn’t mean he’s wrong about everything. I don’t think there’s any human being who is 100% right. And I do think that we’re supposed to use our brains in evaluating everything we read or hear, rather than just accepting things uncritically on someone’s authority alone. If something Swedenborg says makes sense to you, believe it. If something he says doesn’t make sense to you, don’t believe it. But more specifically on your question about his reporting of people living on other planets in our solar system, please see my article, “Aliens vs. Advent: Swedenborg’s 1758 Book on Extraterrestrial Life,” and the comments section on the article as well. Yesterday, I was disheartened to read on several forums that Swedenborg was a heretic or was fooled by the devil, etc. Made me sad such beautiful explanations of Heaven and love can elicit such venemous responses from other Christian groups. Seemed to say if you accept Swedenborg you are following the devil. It reminded me and made me wonder about what kind of spirits are wispering to our subconscious at every moment. I’m very happy to hear that there are a few hundred articles on this site. I am feeling the urge to read about Swedenborg’s conversations with spirits, especially those in hell. Perhaps you have a quick link. I remember being fascinated when I was young by a story, I don’t know if it was the writings but it was Swedenborg inspired – maybe it was The Invisible Police, or one of my fathers tales. It was about an evil spirit that was described to be in pure delight as he played in his pile of money, only to become devastated when most of it is stolen and further saddened when he realizes it was just a pile of dried leaves. And that was hell. The Lord doesn’t torment and tease him that he was playing with leaves, but let’s him realize it for himself after it is taken by a similar spirit. And that is the punishment, the momentary realization of how far from Heaven he is. To cope, revenge quickly takes over and he plots to steal it back. It’s an endless cycle of delight and despair. Do you think that could be an acceptable description of life in a hellish community? Thanks for stopping by, and for your comment and your kind words. I’d be happy to accept your dinner invitation—in a few decades! 🙂 Meanwhile, if you ever find yourself in Wyoming, U.S.A., perhaps we can do it a little sooner. Yes, of course there’s plenty of negative stuff out there about Swedenborg. These days, most of it is written by fundamentalist and evangelical Protestants. They don’t like anyone who doesn’t agree with them. And Swedenborg pointed out exactly how wrong and unbiblical their beliefs are, so they especially don’t like him. Best to just let it roll off your back. I read The Invisible Police many years ago, probably when I was fourteen or fifteen. Though the storyline has faded from my mind, what you recount sounds like something that would be in that book. At any rate, it’s a very reasonable depiction of one particular type of hell based on Swedenborg’s descriptions of hell. Yes, there are plenty of articles here to keep you busy for quite a while! About hell specifically, here are three articles that you might find interesting. The first is a general piece about hell, why it exists, and what it is like. The second gets a little more specific in response to a reader’s comment. And the third, though it’s mostly about reincarnation, contains some further material about hell, including a conversation Swedenborg had with some devils from hell about how much these devils enjoy their evil and foul pleasures. Is There Really a Hell? What is it Like? At any rate, if you have any thoughts or questions as you read the articles here, please don’t hesitate to leave further comments. I noticed that you mentioned a conversation with a “fundamentalist” regarding salvation by faith alone and the apparent rejection of this by James in his letter. Much of this problem arises from a misunderstanding of the meaning of the word “faith”. Paul (Gal. 2:16) says quite clearly that “no one is justified by doing what the Law requires, but only through faith in Christ Jesus”. Justification by faith IS taught in the NT, but in the sense of “faith” that is more or less equal to “trust”. We cannot save ourselves because, no matter how “good” we might be, God in infinitely “better”! We can no more face the infinite goodness of God than a snowflake can enter a blast furnace. Salvation depends entirely on our trust (=faith) in Jesus … and this faith is shown by our response to His commands (although this response itself is not what saves us). James, on the other hand, was criticizing the mistaken idea that the “faith” spoken of by Paul and others was simply synonymous with “belief”. Mere intellectual belief can save no one. Most of the time Luther got it right, but there was a certain confusion with the ambiguity of “faith” and also with the moral and ceremonial Law. Justification by faith alone in no way abrogates the moral law. It only demonstrates that it is insufficient to prepare us for Heaven. On another quite different topic you raised. Sadhu Sundar Singh also had many experiences of the spiritual world which had a number of similarities with what Swedenborg reported. About Sadhu Sundar Singh, my mother, who was also a Swedenborgian, was quite interested in finding out more about him and his spiritual experiences for that very reason. So I’ve heard of that connection, though I haven’t particularly looked into it myself. Sundar Singh’s “Visions of the Spiritual World” can be downloaded for free from the net. I downloaded it several years ago and, if I remember correctly, it was simply called “The Visions of Sundar Singh of India” or something like that. It makes interesting reading. It differs from Swedenborg’s visions in some respects and Singh was not a Swedenborgian, although he did have contact with some members of the New Church. Swedenborgians had differing views about him actually. Some welcomed his visionary accounts while others accused him of spiritualism. Interestingly and controversially, toward the end of his life he came to identify one of the spiritual beings whom he encountered in his visions as Swedenborg himself! Back to the faith issue, I recall giving a talk on this at a church men’s group some years back and speaking about how faith ( in the true evangelical sense) is a belief that shows itself in action. My example was that, if I had faith that there was a bomb in the lectern set to explode in three minutes, I would be insane if I did not act upon this faith by getting out of the room as fast as possible! Similarly, faith in the saving grace of Jesus must also result in a commitment to follow Him, but it is the faith that comes before the following (i.e. the “works”), just as the faith that I was standing before a bomb necessarily preceded my getting out of the building. Thanks. I found it online and downloaded it to my tablet. I’ll enjoy reading it. I agree that faith is a belief that shows itself in action. If there is no action, it is not faith. The problem I have is with the idea that faith alone saves or justifies us. Clearly, your faith that there is a bomb in the lectern would not save you by itself. In fact, it is not the faith, but the action of getting out of the church that actually saves you. So it is not faith alone, but faith together with action—otherwise known as “deeds” or “works”—that saves you. Yes, the faith comes first. But that is simply a matter of the order in which things happen. If the faith comes first, but nothing follows from it, it does not save you. In other words, the faith alone does not save you. Only if it leads you to take action based on the faith. Just as James says. And also Paul. And of course, Jesus Christ himself. And pragmatically speaking, it is not the faith, but the action that saves you. The faith simply leads you to take action. To say that in that situation faith alone saves you from the bomb is clearly false, not to mention just plain silly. The confusion comes from not understanding that Paul often uses “works” as a shorthand for “the works of the Law,” or “circumcision,” both of which are also shorthand for being an observant Jew. Paul was not saying that we’re saved by faith without doing good works. He was saying we are saved by faith—or really, faithfulness—without having to be circumcised and observe all of the Jewish ritual and ceremonial law. He teaches very clearly in Romans 2:1–16 that it is what we do (or don’t do) based on our faith that ultimately determines our salvation (or condemnation). It’s not the faith part that’s wrong. It’s the alone part that’s wrong. The whole edifice of faith alone is built on a complete misunderstanding of Paul’s message. Yes, I agree that the “alone” is the problem if this is taken to mean “mere belief and nothing else”. Part of the point that I was making with the hypothetical “bomb” example is that if I merely said that I believed that there was a bomb in the lectern but did not get away is that I either did not understand the implications of that belief (in which case I would be stupid) or that I did not REALLY believe it at all. But there is also a third possibility – that I was chained to the lectern! In that instance, the belief would not save me … but is there a parallel situation in the Bible where someone is unable to follow Jesus even after coming to belief but is nevertheless saved? The penitent thief on the cross comes to mind. This man had clearly not lived a “good” life (we have his own statement to the second thief that he deserved his punishment). He apparently had some idea of who Jesus was (probably heard His preaching, but to little effect at the time!) yet most likely had little idea of His divinity. His conversation with Jesus has actually struck me as being not especially “penitent” either. There were no great cries of remorse for his actions (although a degree of repentance is certainly implied). All he really asks is that Jesus “remembers him” . In short, he places his entire trust (= faith) in the ability of Jesus to save him in the spiritual sense (rescue from the cross is never even implied). He does not plead any good works that he may have performed (he seems only aware of his bad deeds) but places his entire hope in Jesus. Referring back to the “bomb” example,it is as if, chained to the about-to-explode lectern, I put my entire trust in the ability of a bomb disposal expert who just happens to be on the scene. Not my works (fleeing, which I am unable to do) but the works of the bomb disposal expert saves me. Similarly,the thief’s trust that Jesus “can do it” and is willing to “do it” results in his salvation. There is some irony in the fact that this thief is the only person in the NT who Jesus specifically said to have been saved. The salvation of many others is implied of course, but here it is positively stated. No doubt, if the thief had been somehow rescued from the cross, his faith would have flowered into works, but that did not (could not) happen. He could not even be baptized. If that is not a demonstration of faith alone (with “faith” defined as more than mere belief) I don’t know what else it could be called! Some may say “Oh yes, but that was a special case”. But was it? Are we really in any better position than the thief when it comes to pleading our “goodness”? Paul says that we have all fallen short of the glory of God. None of us can approach Him through pleading our own merits. In a sense, none of us can escape the “bomb” and only Jesus can defuse it (without laboring the “bomb” story too much, we might say that it was an atomic device – no amount of fleeing would have saved me!!). Trust (faith) in Jesus saves us. THEN we respond with works if we have the time! Faith: He turned to the Lord and asked the Lord to remember him when he came into his kingdom. Also, “pleading our goodness” is irrelevant. It’s not a matter of adding up all the good works we’ve done, as if that somehow compensates or balances out the evil works we’ve done. Rather, it’s a matter of the character we’ve chosen and developed here on earth: whether it is one that loves God and the neighbor as Jesus commanded, and therefore expresses itself in good works, or whether it is one that loves only ourselves and our own pleasure, profit, and power, and therefore expresses itself in evil and selfish works. Jesus’ role in this is that without God’s power working in us, we never could develop a good character. By ourselves we rush into every kind of selfish, greedy, and stupid behavior. God, through Jesus, his human presence, gives us the power, motivation, and ability to choose the good instead of the evil, and to repent, reform, and be reborn as a new person. I don’t wish to keep this going too long, but let me just say that, as an evangelical protestant, I can agree totally with your last paragraph. In fact, I agree with much of what you say, even if the terminology might sometimes differ. It is true that “it’s a matter of character” (the sum total of our inner motives) and that a good character can only be developed by the power of God working within us. That, in protestant theology, is the result of faith (not just belief, but trust, commitment, and surrender – all of which are included in “faith” when this word is properly understood in this context). This is what the thief displayed, but it is also implied that for much of his life he was not of such character as would be fitted for Heaven. If I have not mistaken Swedenborg on this point, deathbed conversions are not efficacious. Yet that is just what we have here (well, not exactly deathBED I suppose!). The thief did not think that he was worthy of Heaven (otherwise, he would not have asked Jesus to save him) and I wonder if Swedenborg would have agreed with him, had he been present! Neither would Jesus, but He accepted the thief’s faith (which, as you say, also manifested in his repentance and approach to the other thief) as sufficient. What a compassionate God we have!!! That very day the thief would be with Him in Paradise. No purgatorial correction or even a probationary stay in the spirit world. Thanks for your reply. I’m glad we can agree on something. The reality is that even though Protestantism has gotten way off track doctrinally with its over-emphasis on faith compared to the Bible’s primary emphasis on repentance and actively loving God and the neighbor, as long as Protestants actually live by what Jesus and the Bible as a whole teach, what they believe is secondary. That’s why good-hearted Protestants are saved even though the doctrine they have been taught is wrong and contrary to the the Bible’s own direct statement on the subject of faith alone. The doctrine of justification by faith alone is useless, and does not save anyone. (See: “Faith Alone Does Not Save . . . No Matter How Many Times Protestants Say It Does.”) But those Protestants who, in practice, live by what the Bible actually does teach will be saved and go to heaven regardless of the fact that they have intellectually rejected what the Bible teaches. In other words, if they live as if Swedenborg was right, it doesn’t matter if they believe as if Luther were right. If their heart is in the right place, God can correct their faulty beliefs once they reach the spiritual world. There they will see things in a clearer light, without the fog of human theological error they have been walking in here on earth. Yes, Swedenborg generally rejected deathbed repentance. But by that he meant people who live an evil life and then, on their deathbed, think they can erase all of that just by verbally repenting from all of their sins. That is not real repentance. It is just a CYA ploy out of fear of hell. He says that after death, such faux “deathbed repenters” go right back to their old sinful life because they love that sinful life and don’t see anything wrong with it. And soon they head toward their final home in hell. In fact, it is fairly common for Protestants, especially, to think that since it is faith alone that saves, they can continue to sin as long as they want, and then some time “later,” especially if they see death approaching, “accept Jesus” and say the sinner’s prayer, and God will let them into heaven regardless of their long life of sin. Swedenborg’s rejection of deathbed repentance was aimed squarely at the Protestant faith-alone heresy. The thief on the cross was very different. His words show that he recognized that his actions were wrong, and that he deserved the punishment he was getting for them. Do you know how few convicted criminals actually believe that what they did was wrong—or even admit that they did it at all? There’s an old saying, “There are no guilty people in prison.” Just ask them. They do get very skilled at telling the parole board what it wants to hear about how they regret their actions, they’ve reformed, and blah, blah, blah. But if the parole board believes their lying words and grants them parole, they’ll commonly go right back to the way they were living before, and end out right back in prison. It was all just a show to try to get themselves out of prison even though they don’t regret their actions at all. That is what nearly all “deathbed repentance” is about. But Jesus perceived from the repentant thief’s words, and from seeing into his heart, that he truly regretted the life he had lived. And he saw by his actions in witnessing to the other thief, and in asking Jesus for mercy, that unlike the vast bulk of convicted criminals, he had actually gone through a change of heart, and he was no longer the thief he once was. That is why Jesus told him that today he would be with him in paradise. Read the article I linked for you. It’s all there. How have Swedenborg and Swedenborgians since him regarded the Jewish people? The answer to that question is complicated. As you may be aware, racism in general, and anti-Semitism in particular, was rife among Enlightenment thinkers. Swedenborg shared in some of that anti-Semitism, though his version was nowhere near as virulent as that of many of his contemporaries. In general, he thought of Jews as physical-minded and avaricious, which was their cultural stereotype. On the positive side, unlike most of his contemporaries, he taught that good-hearted and conscientious Jews can go to heaven just as Christians can. He speaks of Jewish heavens in the spiritual world. One fascinating sidelight is that there was a Kabbalist professor at the university Swedenborg attended as a young man. It’s likely that Swedenborg learned something about Jewish mysticism there, though his own later system bears little resemblance to the Kabbala. Swedenborg also revered the Hebrew language, believing that the Jews inherited it from ancient times and preserved it through their devotion to preserving the Hebrew Bible. So not everything Swedenborg said about Jews was negative. He praised their role in carefully preserving the Word of God for later generations. And he did view the ancient Jewish religion as the leading religion of its day, though of course he saw it as being supplanted by Christianity in that role. On racism in general, in some areas Swedenborg bucked the prevailing trend altogether. For example, while blacks were generally viewed as vastly inferior to Europeans, and even sub-human, by many leading thinkers of his day, Swedenborg considered Africans to be among the best of the races. He recounted several stories from the spiritual world in which African spirits showed far more enlightenment and wisdom than their European counterparts. And it’s an interesting fact that today the organized Swedenborgian Church worldwide is a majority black church. Although it is almost entirely white in Europe and North America, the New Church of Southern Africa dwarfs all the other Swedenborgian denominations in the world put together. There is also an active Swedenborgian church in Ghana, and less organized movements in some other African countries. As for how Swedenborgians have regarded the Jewish people, as you might expect, that’s been a mixed bag also. Conservative Swedenborgians tend to accept uncritically Swedenborg’s statements about Jews, both positive and negative. This does aid and abet the latent racism and anti-Semitism that still prevails in much of the world today. More liberal Swedenborgians generally distance themselves from such views, and commonly engage in interfaith activities that honor other religious traditions, including Judaism. In my own former pastorate back east, we ran two public series on world religions in which we invited faith leaders from various traditions to speak to our congregation and the public about their faith. Each time, this included a session in which we invited Jewish rabbis to speak about their faith and religion. Speaking for myself, I have enjoyed and benefited from Jewish commentaries on various on passages in the Hebrew Bible, which tend to engage the text more directly and minutely than most Christian commentaries. So once again it’s complicated, and the answer to your question is both negative and positive. So it’s safe to say that Swedenborg didn’t bear any hostile feelings towards Jewish people, nor people of other races, despite common attitudes in Europe at the time? Yes, I think that’s safe to say, despite the relatively mild anti-Semitism (in comparison to the virulent anti-Semitism common in his day and culture) that does make its way into his writings. He did not wish any harm to Jewish people nor to people of other races. Rather, he believed that God is the God of all races and religions, and that people of all races and religions can be saved and make their final home in heaven if they live a good and conscientious life according to their own beliefs. This was part of his general belief that perfection comes, not from sameness, but from variety harmoniously united into a working whole. He extended this principle to variety in human culture and character, believing that the variety of races and religions reflects the infinite, and infinitely varied, nature of God.